This is one of Australia's favourite hedging plants - the Syzygium australe. Rich, glossy leaves start in an eye catching bronze and then slowly turn to deep green as they mature. 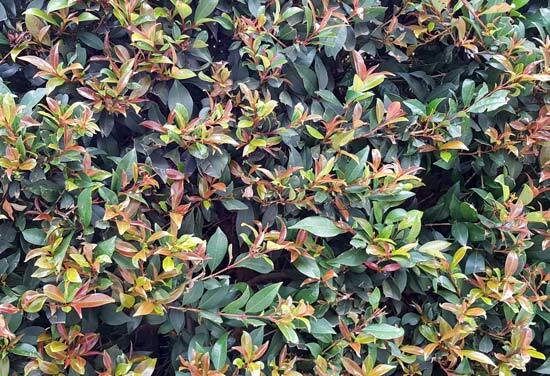 A thick and dense shrub that responds well to pruning while providing foliage right down to ground level - makes for a perfect hedge. Their only weakness is being prone to psyllids which burrow into the leaf and deprive the plant of sap. There are many varieties with newer cultivars offering a resistance to these pesky bugs.